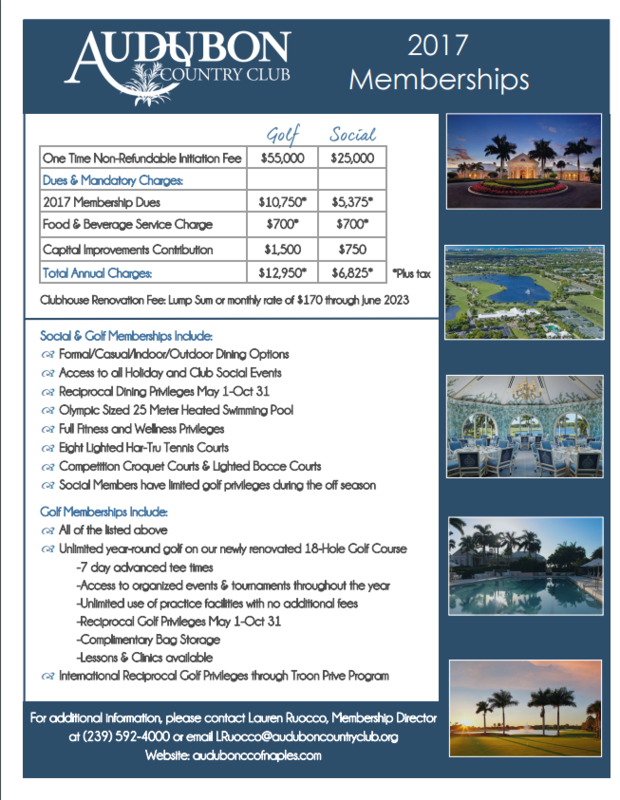 Naples Premier Member-owned Luxury, Private Golf Club Community! Audubon Country Club Naples FL private golf community featuring 410 luxury homes on 755 acres. Nearly 60% of Audubon is reserved for natural preserve and lakes, it is also a certified Audubon Sanctuary. 28 lakes, bald eagles, other wildlife and hundreds of acres of untouched nature make this a unique private club. The community is divided into two sections – club side and bayside. The bayside consists of 157 luxury single-family homes. The club side offers 182 luxury single-family homes and 36 condominium. Members of the Audubon Country Club enjoy activities other than golf including; tennis, croquet, swimming, and fitness. The recently renovated clubhouse boasts 35,000 sq.ft. offering golf course views and providing casual to gourmet dining. The centerpiece of the Audubon Country Club is the 18-hole championship golf course designed by Joe Lee opened in 1989. The course is 6700 yards and offers five sets of tees, enabling you to choose the length that best suits your game. Because there is a maximum of 335 members, finding tee times is quite easy. The Audubon teaching staff will help you lower your handicap or just have more fun. They can work with you to lower your handicap, overhaul your swing or refine your short game. And the fully-stocked golf shop offers everything from clubs and balls to clothes and shoes. And they’ll special order what they don’t have! This very active member-owned club offers scheduled golf, including; couples golf, monthly tournaments, weekly events for women, club championships, member-guest weekends and one-day outings. Best of all, Audubon is a Troon Prive Club which entitles members to special benefits. Including; access to daily-fee, resort, and private clubs worldwide (ie: Trump Turnberry in Scotland and Ocean Club in the Bahamas). Advanced tee times, guest privileges, golf instructional opportunities and much more! Audubon offers three dining options; the Grill Room and main Dining Room in the clubhouse and the Courtside Cafe. The Grill Room is upscale casual for lunch and dinner with a long, fully-stocked crescent bar. The Main Dining Room is the venue for club events. It offers a diverse dinner menu that changes seasonally and a Sunday brunch Buffet. Both clubhouse dining rooms feature panoramic views of the lake and golf course. The Courtside Cafe is adjacent to the pool and tennis courts and offers poolside service. The cafe serves tennis players, the pool crowd, golfers making the turn and members looking for a casual lunch. Audubon is home to the only full-size private croquet courts in Naples. WTwo expertly maintained croquet lawns play host to some of the sport’s most competitive tournaments nationwide. Audubon is a member of the United States Croquet Association. Eight lighted Har-Tru tennis courts await the tennis enthusiast at Audubon. Their great staff with a USPTA Tennis Professional, provide all levels of instruction, individual, and team league play. A state-of-the-art fitness center features a professionally trained staff to meet the health and fitness needs of Audubon members. Members enjoy the opportunity to get in a great lap workout in a 25 meter Olympic-sized pool. Heated to 85 degrees F year-round, it’s depth is 4 to 6 feet. 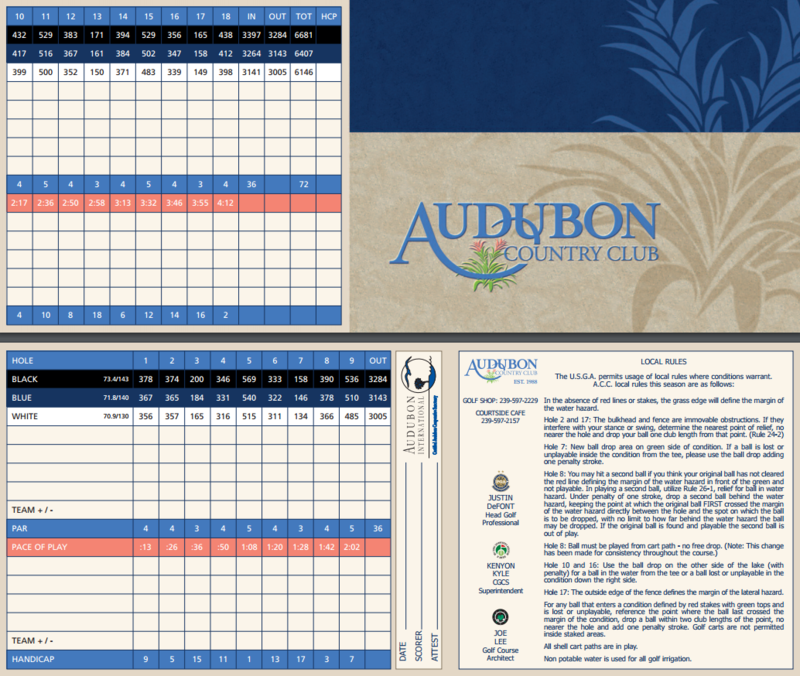 For additional information about Audubon Country Club Naples, please complete the form below! I or one of my team members will respond to you within one business day.